47. 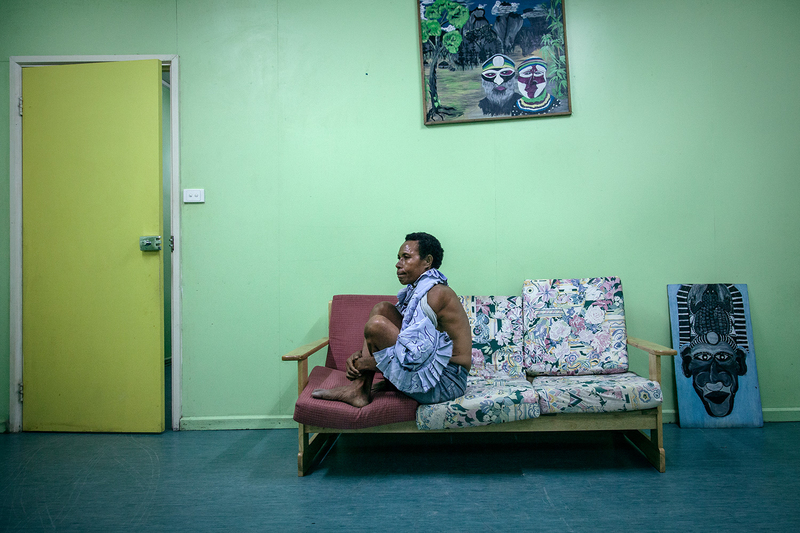 Molly, 42, waits for her medical examination at the Family Support Center at Port Moresby General Hospital. Molly was brutally beaten by her husband, a security guard, who does not allow her to leave their house.